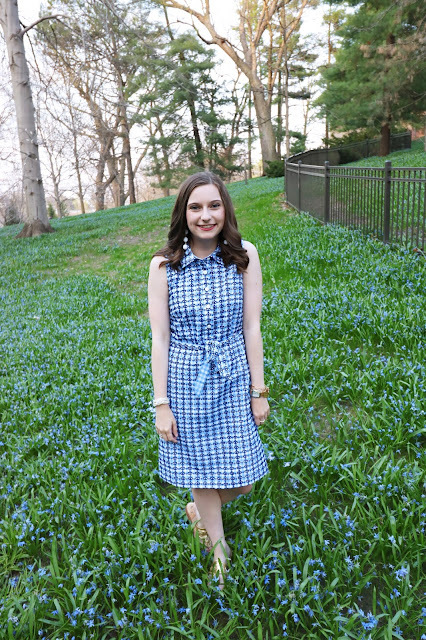 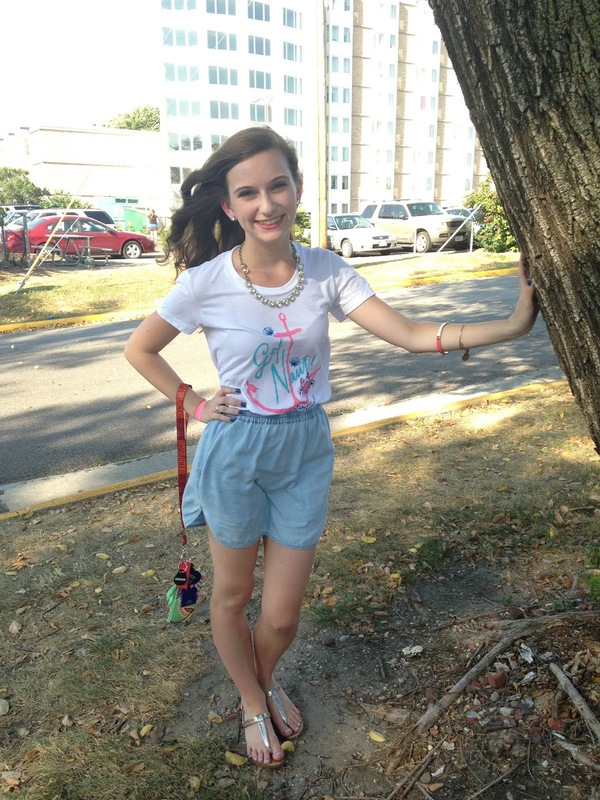 The Outfit: Today was Rent the Runway letter's day. 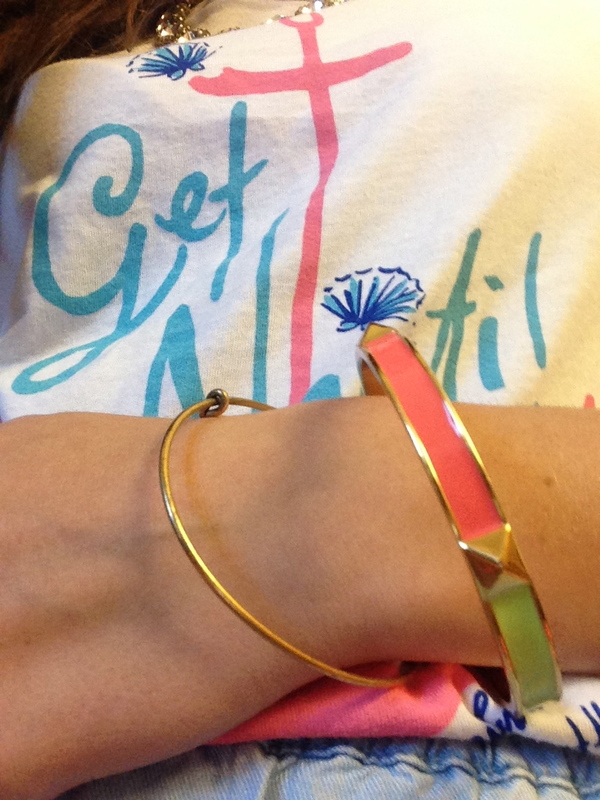 Which means I have to sport my Rent the Runway gear! 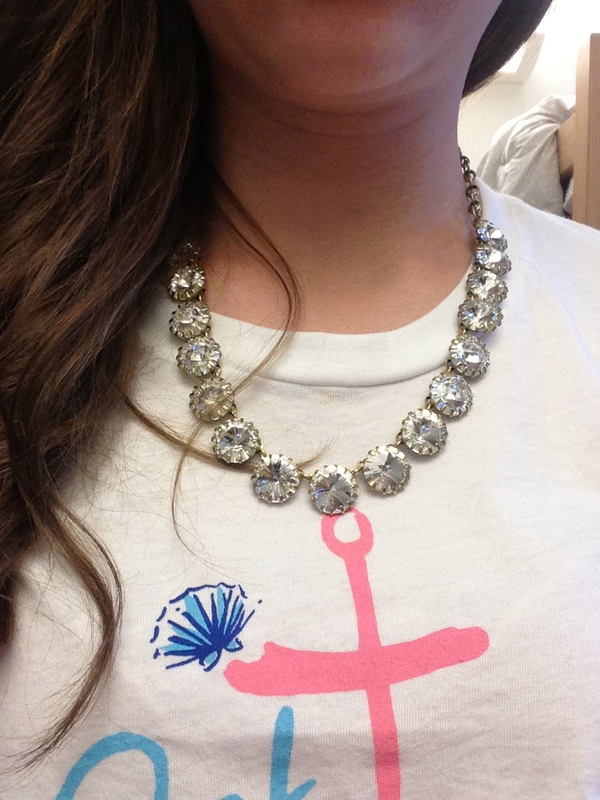 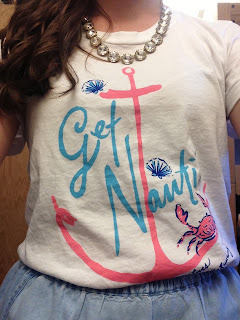 The shirt I have says get nautical on it as well as Lilly loves Rent the Runway. 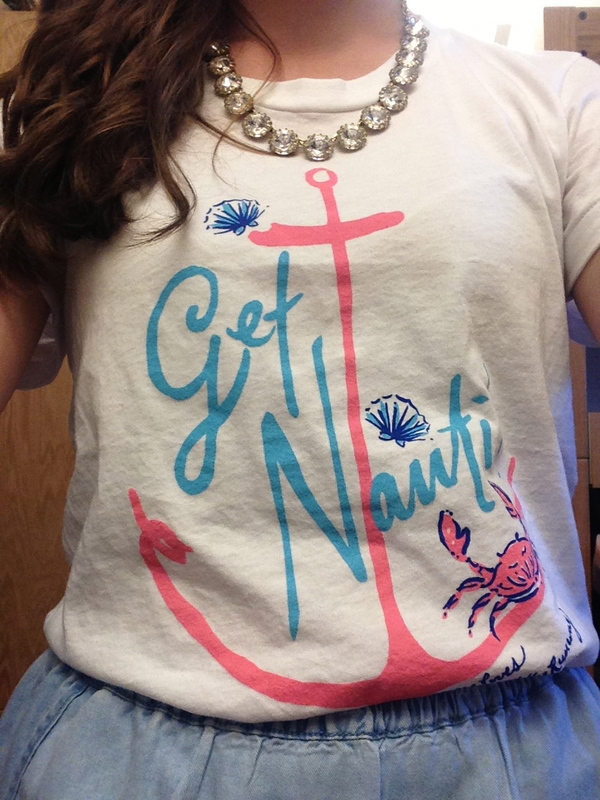 In other words it's a Lilly Pulitzer t-shirt and I am obsessed with it to say the least. 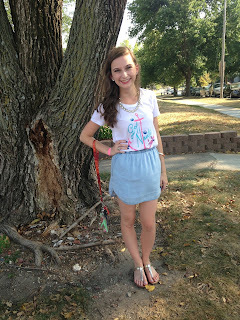 I paired the shirt with a denim like skirt. 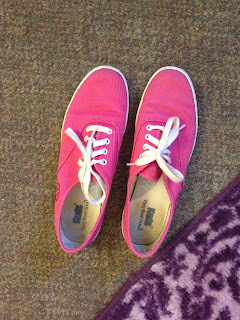 It's super comfy and casual but cute at the same time. 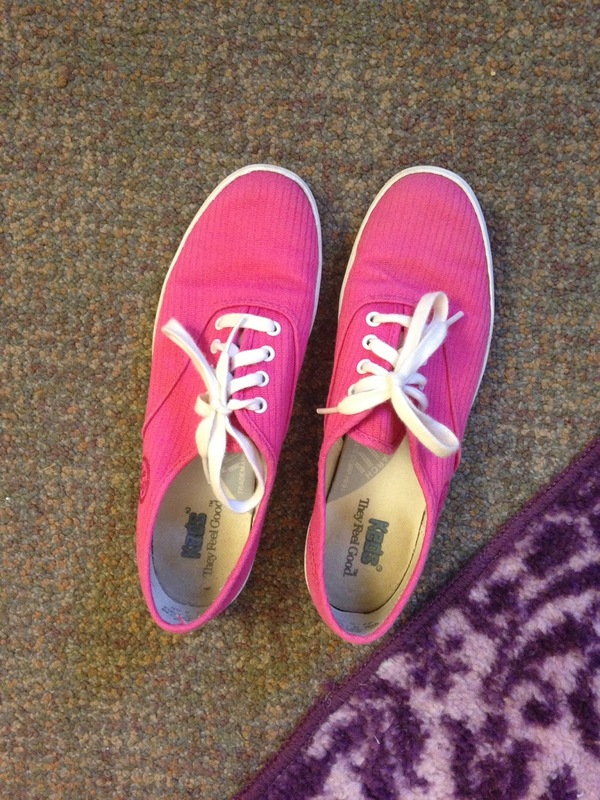 Also, I sported my vintage magenta Keds. I accessorized with my J Crew statement necklace and some of my favorite bangles.